Lock in a great price for Grand Hotel Opduin – rated 8.7 by recent guests! Yes. Only challenge was that the restaurant was overbooked and understaffed. Good food though! Great room with a sitting area. They provided us with a baby bed. The bed was very comfortable. Friendly staff, nice venue. Very clean swimming pool and nice rooms. The lobby is very cosy and both the restaurant and the bar is extremely good. A nice place for a few days off. The pool and Sauna facilities were very nice. The hotel is very clean and is in a good location to walk either to the beach, or into the town centre. The staff was nice and always greeted us when we came and left. Location was great..hotel was great and the staff was lovely! Grand Hotel Opduin This rating is a reflection of how the property compares to the industry standard when it comes to price, facilities and services available. It's based on a self-evaluation by the property. Use this rating to help choose your stay! 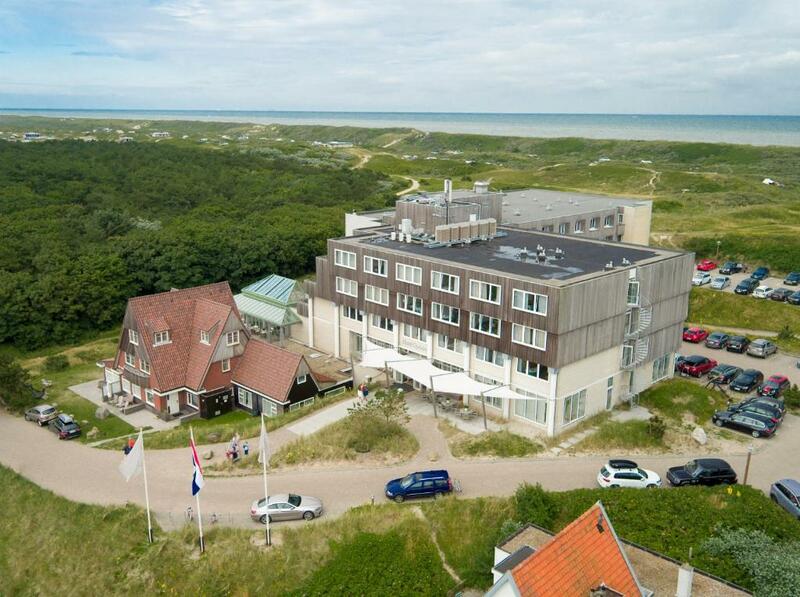 Grand Hotel Opduin is a 4-star hotel less than 650 feet from the beach on the island of Texel. It features a restaurant, which serves Texel-French cuisine using fresh local produce, and extensive wellness facilities including an indoor pool. The beauty & wellness center offers beauty treatments. Guests can use the solarium, the Turkish steam bath and the Finnish sauna. 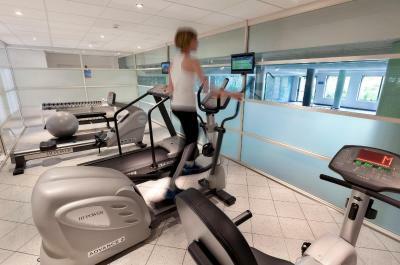 The fitness area and the tennis court provide a good work-out. All hotel rooms at Grand Hotel Opduin are attractively furnished and have a private bathroom with a bath. They come with a flat-screen TV, a seating area and an espresso machine. Every day, Opduin Grand Hotel offers a characteristic Texel breakfast buffet. This includes farmhouse breads, local cheeses, dairy products and home-made jams. Grand Hotel Opduin is part of the Slow Food Chefs Alliantie, meaning that it only uses food that is pure and fair without any additives. 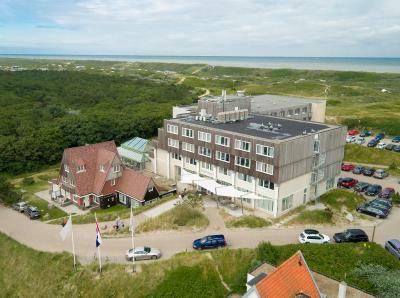 The hotel is located in the dunes in a national park. The beach is just a 5 minute walk and the village center of De Koog is also just 650 feet away. When would you like to stay at Grand Hotel Opduin? This room includes a seating area with a flat-screen TV. Free toiletries and a hairdryer are in the bathroom. Please noete that the costs for breakfast for children are EUR 9.25 per child, per night. Please note that the surcharge for bringing dogs ia EUR 25 per dog per night. Please note that 2 extra beds for children can be placed in this room upon request, at a surcharge of EUR 27.50 per child, per night. This room with sea and/or dune view includes a seating area with a flat-screen TV. Free toiletries and a hairdryer are in the bathroom. House Rules Grand Hotel Opduin takes special requests – add in the next step! ATM card Grand Hotel Opduin accepts these cards and reserves the right to temporarily hold an amount prior to arrival. Grand Hotel Opduin accepts these cards and reserves the right to temporarily hold an amount prior to arrival. The whole experience felt a bit impersonal; but that's expected for a hotel this size and so many bulk rooms. Breakfast is too expensive in my opinion. We stayed two nights, and both nights was difficult to eat dinner in the hotel, as the restaurant could not cope with the capacity of the hotel. The first night, we ate but could not get in until 8:30pm which was late because we had a 4 year old child. The service was quite slow and we had to keep asking for them to come to bring us menu's, water, bread etc. The second night we asked at about 3:30pm for a reservation, and the restaurant was already full. We had to walk into the city center to eat. The beds were very comfortable, although they make a double bed by putting two single beds together. This is common in Europe, but makes it uncomfortable. At least put a mattress topper, so it at least feels like a real double bed. If you roll over in your sleep, you easily can find yourself on the floor between two single beds. Fitness. Hard to switch on. Very small. Ambiance and people. Breakfast worth it! Best to the sea. Great room with bath and bubbles. Stylish. Comfortable, light and airy. good food. I love this hotel (I already came 2 years ago) but what I really dislike is the fact that for 160 euros per night you can't even sleep as late as you want as you are woken up by incessant vacuum cleaner noise from 9:30 am, and you have to be out of the room by 11 am without a possibility for late checkout...This is not what I expect from a "Grand Hotel" as this is the kind of place you go to for a bit of rest! Also, I tried for the first time to have lunch at the hotel and the service was oddly unprofessional... I will be back anyways...I just hope that they change their vacuum cleaner "policy" in the early morning and the possibility of a late checkout. The area, the beach nearby, the hotel lobby, the great bedroom and its view, the reception welcome! A robe to go to the swimming pool would have been good. Breakfast was exceptional. We had a standard room which was a good size. The hotel was ideally situated for the town and the beech.